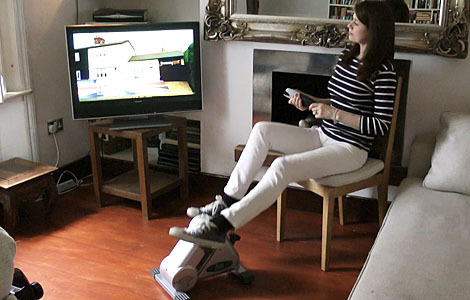 The Zest PLUS mini exercise bike is a solid, intermediate-level machine, suitable for the majority of people who are committed to improving their health. It has all the benefits and features of the Zest GO with the added advantages that it is sturdier and more robust. 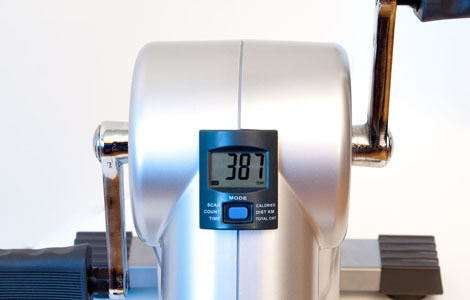 It also has a superior variable resistance mechanism which will enable you to exercise at greater intensity. So as you get fitter, you will be able to progressively increase the resistance by turning the tension dial on the front of the machine and push yourself a little bit further. Not only will you increasingly improve the health of your heart but, by burning more calories, you will lose more weight. 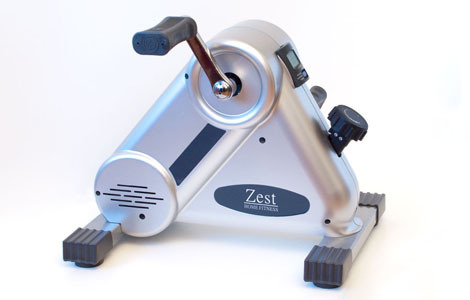 The good variable resistance of the Zest PLUS makes it ideal for people who want an intensive workout. The Zest PLUS has an attractive chunky design and weighs just 6.5 kilograms. In addition to the rubber anti-movement pads on the feet it also comes with a thin rubber mat to reduce sliding even more. 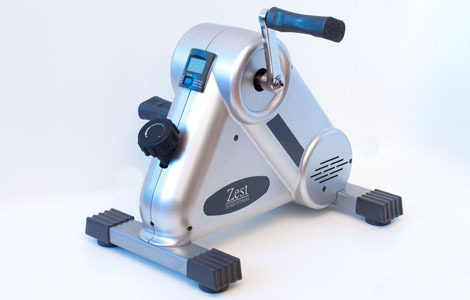 All these features make the Zest PLUS the best choice for the majority of people who are committed to keeping fit.